As a result of this blog I am fortunate to get to meet a lot of interesting people. 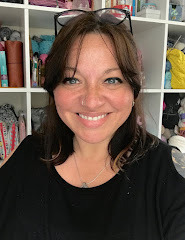 Chatting with them, I often wish you could listen in, so over the next few months I'll be publishing various stories and interviews with different people who all work within the yarn-craft industry, in one way or another. 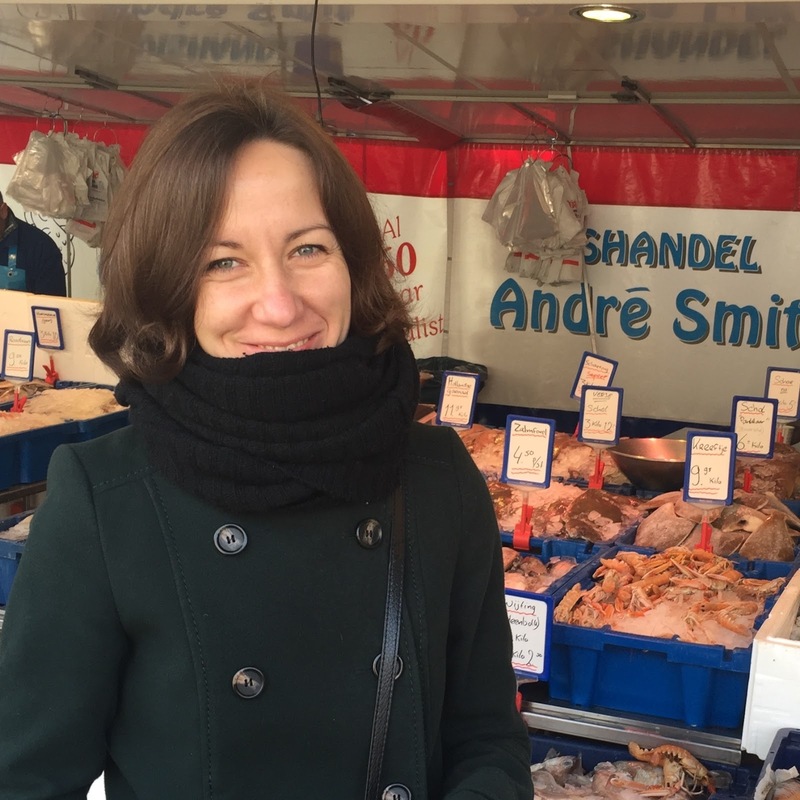 To start things off, today's guest is a crochet designer who - of all things - charmed me with her excitement at the seafood at Groningen market. It's quite a novelty if you live in a land-locked country! Gotcha! She doesn't like being photographed, but I captured a smile! I'm pleased to welcome Tatsiana ('Tanya') Kuprjanchyk, who you might already know as the designer behind 'Lilla Bjorn Crochet'. Tanya's signature style (the mandalas below, for example) demonstrates a careful mix of harmonious colours which are used to build complex interwoven design elements and, as I learned over our weekend together, this is also a reflection of her personality - she is calm and easy-going, but there is a lot happening beneath the surface - she comes across as a warm intelligent woman with an inner strength. I'm sure that if you haven't already discovered her work, you'll appreciate her beautiful designs, and blog, and will enjoy getting to know her too. Tanya, welcome to Crafts from the Cwtch. For readers who don't know you yet, can you tell us a little about yourself and your background? Sarah, first of all I would like to thank you for this wonderful opportunity! I have been following your blog for a while and I just love it. And for me it’s a double-pleasure to be invited here. My name is Tatsiana and I am from Belarus. I was born in the USSR and the biggest part of my life I have lived in the “former Soviet Union”. I studied journalism at University and worked for a newspaper. Together with journalism I had been studying opera singing for many years. And that was the reason why we (my husband and I) moved to the Czech Republic. I wanted to continue my studies here, and hopefully to find a job as a singer. But life is not always the same as you want it to be… Now I have a 5 years old son, and a wonderful, crazy, hyperactive, hunting Irish setter. I am not a singer, and I am not a journalist. Somehow I became a crochet designer. Photo Credit: 'Dandelion Mandala' by Lilla Bjorn Crochet. Pattern available on Etsy*. Thank you - I'm delighted to have you here! You've been crocheting for many years. Can you tell us how you got started and why it has come to be such a big part of your life? Oh yes, it’s true. I have been crocheting and knitting for my entire life. I’ve learned to crochet when I was 5 years old. In kindergarten we had a very strict teacher called Raisa. I remember she had bright red hair. Yes, she was strict. But not with me. I was not afraid of her at all. And she taught me to crochet. My first knitting project was a hat with cables. My mother didn’t really believe I could create something decent and she bought some very cheap yarn. It was grey. But surprisingly the result was great and I wore this hat quite a lot. Our family moved from one apartment to another several times, and all my crafty projects were lost. It is sad… Today I would put them on the book shelf to remind me of my childhood. Photo Credit: Lilla Bjorn Crochet. This lovely shawlette is available as a free pattern on Tatsiana's blog. You have a recognisable style in your work, whether it's an overlay mandala or a Shawlette. How would you describe your aesthetic and where do you get your inspiration? I have been seriously designing for 2 years already but still I think about myself as a “beginner”. When I saw a crocheted mandala for the first time, I fell in love with overlay crochet immediately. I started practicing this technique and created my own mandalas. I can’t say I have any directions. I just follow my hands and my heart, and then the projects turn to be in more or less the same style. I guess every designer and artist has her own style and it’s just a reflection of her inner world. What does inspire me? Everything. You can’t really predict when inspiration comes to you. Sometimes I have a plan, like I have been wanting to create a Celtic mandala and I spent endless hours trying to figure out the pattern. I browsed hundreds of prints and images on Pinterest, and a mandala was finally born. And sometimes I just feel like crocheting, because I want to try new yarn. And then I just start playing with it, mixing colours, trying different stitches. And at some point I hear inspiration knocking on my door (I am not sure why but it usually happens at night. Probably my inspiration doesn’t want me to sleep at all). Photo Credit: Lilla Bjorn Crochet. 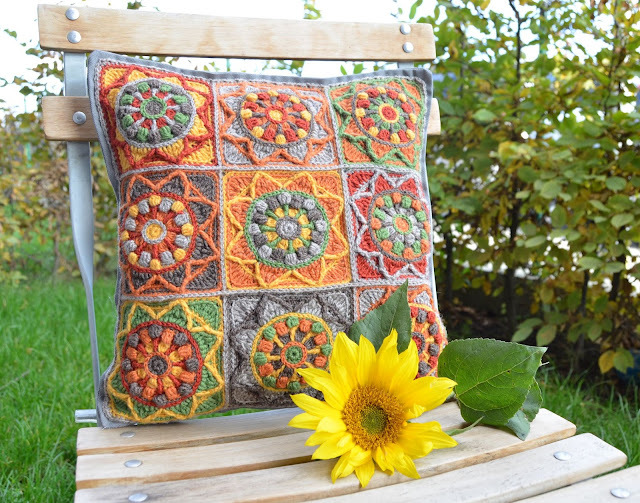 The Sunflower Pillow pattern is available on Etsy*. Don’t be afraid! And don’t give up if something goes wrong. Today there are thousands of very good crochet books and video tutorials which can help to master crochet from the very beginning. There are lots of great independent designers who offer free and paid patterns – and this is also a great chance to try different styles and techniques. And, please, don’t stick to the “beginner” level. I know these levels exist but in my opinion crochet has no limits. So don’t be afraid to try some advanced patterns – they will teach you a lot of new things and your freedom in crochet will be increasing every day. 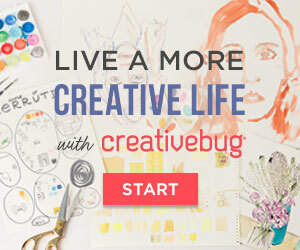 And then… then you will probably try to design something yourself? Photo Credit: 'New Year Quilt', Lilla Bjorn Crochet. Yes! I have a few projects running at the moment. 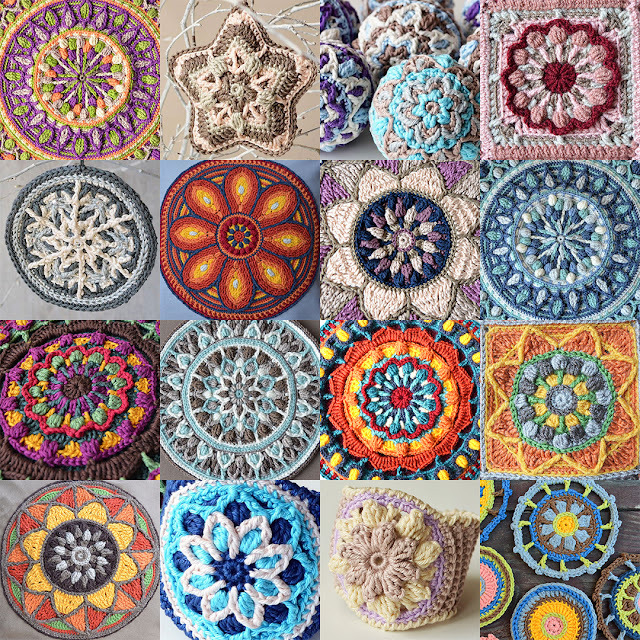 These are mandalas and all of them are in overlay crochet. You know I have another wave of “mandala madness” at the moment. 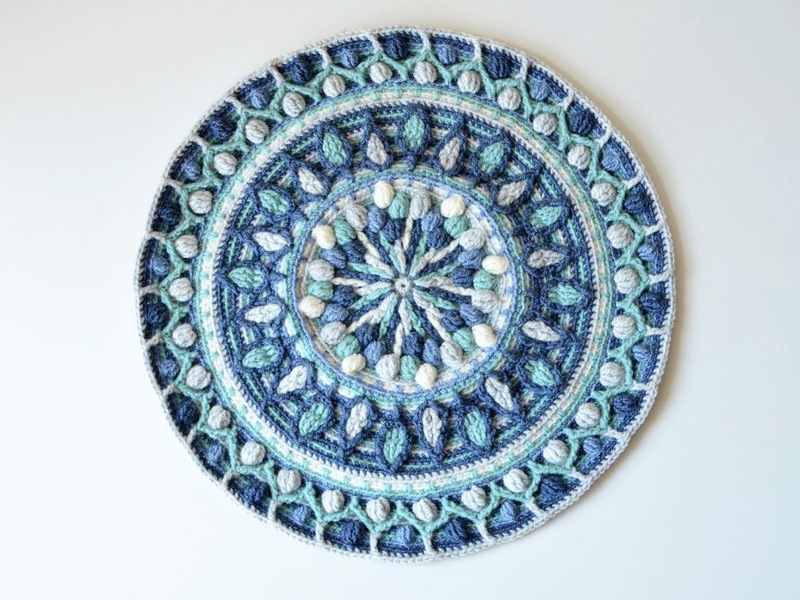 And today I released a new pattern – it is an extension for my existing Joana’s mandala pattern. Photo Credit: Joana's Border, Lilla Bjorn Crochet. Find pattern details on Ravelry and a discount code here! You can use this border to enlarge the original design into a medium-sized throw or even a rug. 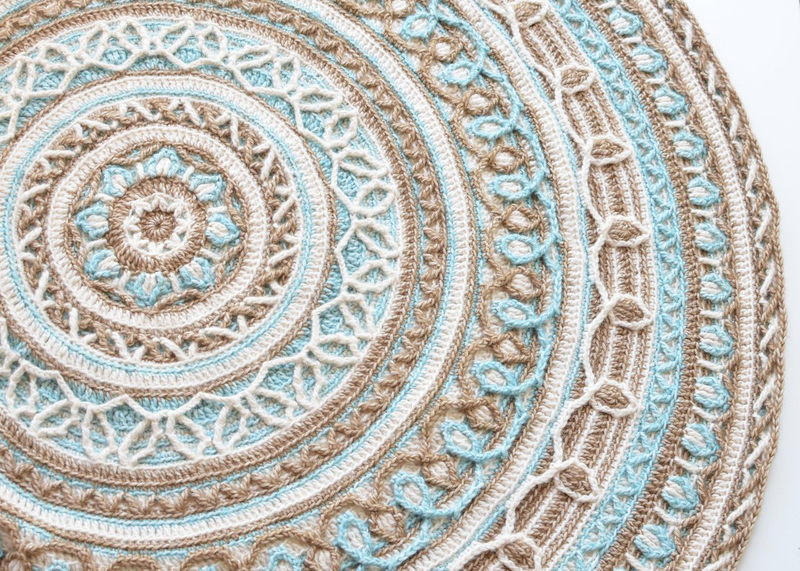 And the border pattern goes together well, not only with Joana’s mandala, but with any mandala with 248 stitches on the last round. So it will suit perfectly my Dandelion Mandala and Sophie’s Mandala designed by Dedri Uys (from Look At what I Made). I am also secretly working on something what will go live in summer. So far I can’t tell you what it will be. But I am very excited about this project. And I hope it will turn out nicely. I'm sure it will! Thank you so much for being with us today, it's been lovely to share some of your beautiful work and I can't wait to see what you come up with next. If you would like to see more work from Tatsiana, you can subscribe to her blog, visit her Etsy store for patterns and handmade items or follow Lilla Bjorn on Facebook and Instagram. 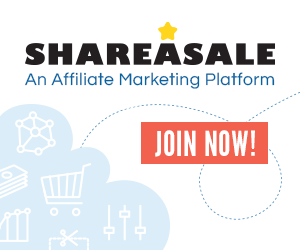 *Etsy affiliate links are included in this post.